Blue skies, gorgeous scenery, and skimpy swimsuits: our honeymoon was everything we could have imagined. When we pondered our honeymoon destination, we both wanted to go somewhere the other hadn't been — which of course limited many places we could have visited. We also wanted somewhere warm with plenty of sun, sea, and beaches. And perhaps most important, we wanted to visit a destination that was gay friendly where we could be free and loving. 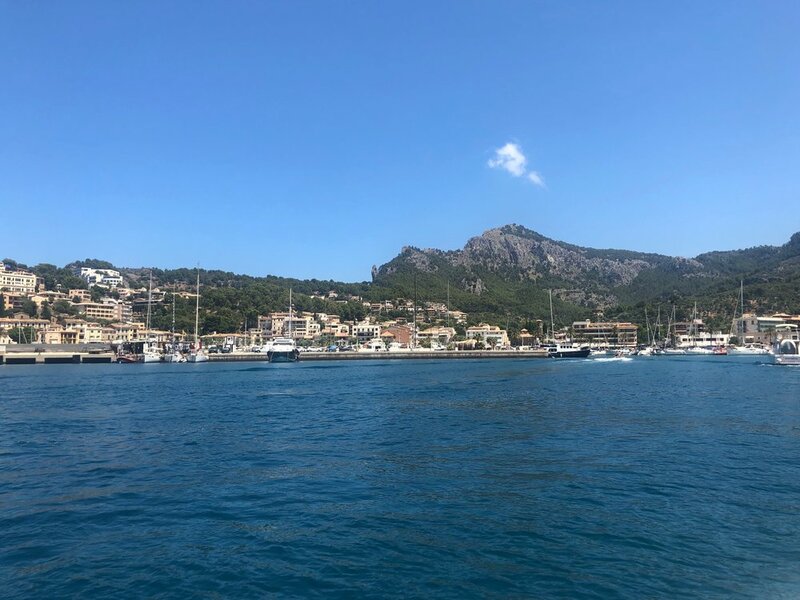 After deliberation and narrowing down a few considerations, we decided on the Balearic island Mallorca, right off the coast of Spain. For our wedding gifts, we kindly asked our guests to contribute to our honeymoon fund, and we are so appreciative for those who did. We were in Mallorca for 9 days and enjoyed a serene private villa in the hills near Puigpunyent — with views of the surrounding valley, the sea in the distance, and a refreshing and perfectly sized pool for two. As expected, the weather was stunning every day and we took advantage of every moment in the sunshine. One of our best friends, Paul (who was part of our Entourage), surprised us with a special gift whilst we were there: he organised a private boat cruise down the west coast of the island. It was simply spectacular. In addition to that, we spent several lazy days poolside, some days exploring remote beaches, and a few days hiking and checking out the sites! Here’s a collection of photographs from our sunny and relaxing honeymoon. Clearly we enjoyed the sun, sea, and showing off some skin…we definitely celebrated a gay holiday! 😛 Click or tap on the thumbnails below to see each image in full resolution. In addition to the selected photos below, we have a similar but more robust collection on Flickr.